The \Digital Visual Interface\ (DVI) or Digital Video Interface was invented by the Digital Display Working Group (DDWG). It is a digital connection used to connect a graphics card to a screen. It is advantageous (compared to VGA) on the screens where the pixels are physically separated. • separation of shades of color for each pixel : perfectly clear picture. • a digital (without loss) transmission of colors. This is the equivalent digital analog RGB (red green blue) link but conveyed on three routes LVDS (low voltage differential signal) and by three shielded twisted pair. In addition, as all (except CRT) screens are digital in-house, the DVI connection avoids analog-to-digital (A/D) conversion by the graphics card, and losses during transfer by the VGA. Mid-January 2006 a European tax of 14 percent came knocking the monitors of 50cm (20 inches) and more, equipped with a plug DVI, manufactured outside of the eurozone. 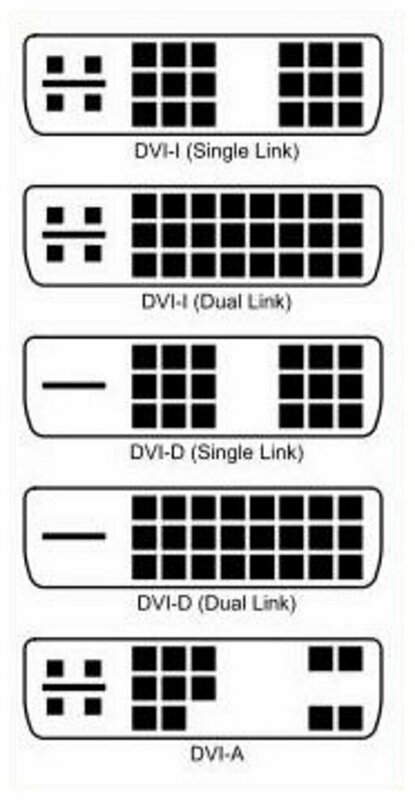 There are three types of DVI plugs. • DVI - A (DVI-Analog) which transmits only the analog signal. • DVI - D (DVI-Digital) that transmits only the digital signal. Currently, most outputs DVI graphics cards are DVI - I. What is DVI - I ? It allows to keep the possibility to use a CRT screen, via an adapter \DVI to VGA. 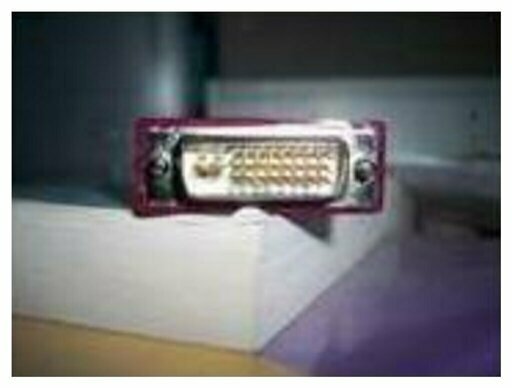 In other words, although the majority of DVI connectors are the standard DVI - I, they will be used as the DVI - A if you have a screen CRT otherwise like DVI - D.